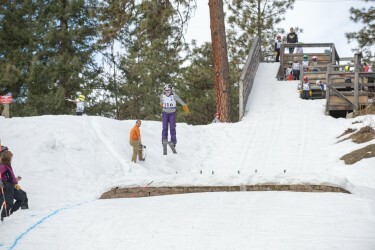 The Ski Hill Jump is the only ski jump on the West Coast of the U.S.! 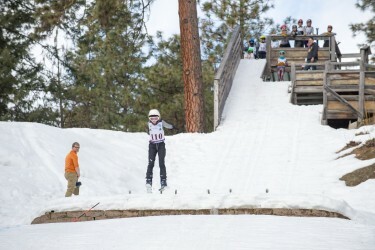 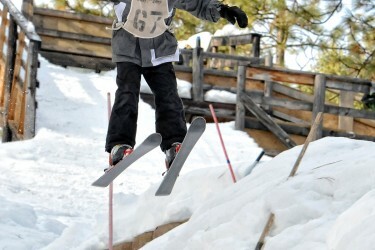 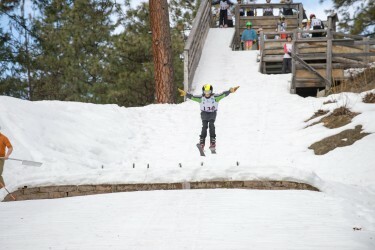 Once the snow falls ski jumping is the weekend treat at "D" hill, behind the Leavenworth Ski Hill Lodge. 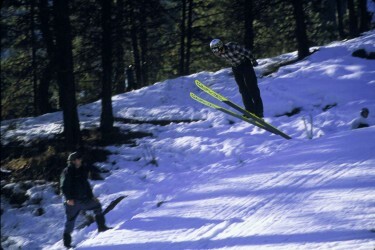 Coaches are available by appointment to instruct. 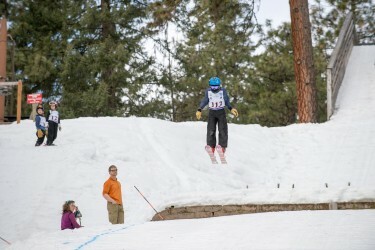 Beginning jumpers usually start with a ride down the landing hill and work their way up to the 15-meter jump, finally graduating to the 27-meter jump. 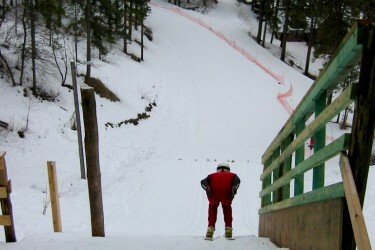 A rope tow takes you back to the top after each run!